I was looking at the privileges on Mathoverflow, Stackexchange and Meta stack exchange and noticed that on these sites, there is a 200-rep privilege "reduce ads". Indeed, on these sites, every question I look at has adverts. I was wondering why this isn't the case on Math.SE - there is no "reduce ads" privilege, and as far as I can tell no ads. 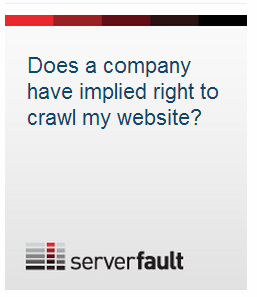 At present, only three SE sites carry commercial ads: Stack Overflow, Server Fault, and Super User. They are banners placed below question title, in the sidebar, and between answers. Consequently, these sites have the 200-rep privilege at which most of these banners are no longer shown. That the list of privileges on Meta Stack Exchange and on MathOverflow include the 200-rep reduced advertising privilege is simply a bug. In case of Meta this seems to be a bug-by-design. Who knows how it came about on MathOverflow. If someone complains on their meta, the bug might be fixed. Or not. I emphasize that the above is about commercial ads. There are other banners present around SE networks, some of which are intra-network site promotions (example below), and others are Community Ads. These are not disabled regardless of reputation. Not the answer you're looking for? Browse other questions tagged discussion privileges .